Everyone and their mother posts a top prospect list for their respective teams. We’re no different (just better ;). But the top prospects are just a small fraction of the actual amount of minor leaguers each team has (typically closer to 300). Believe it or not, there are some prospects that most sites aren’t noticing, and most certainly the national media hasn’t really heard of. The Angels have a bunch of them. O’ Grady is a former MWAH Top 30 prospect and his claim to fame so far was being selected in the Rule 5 draft last year by the Reds. O’Grady’s performance in Spring Training wasn’t enough to secure a spot as a LOOGY in their bullpen, and thus he was offered back to the Angels, who hastily took him back and inserted him back into the farm system. O’Grady’s always worked in the low-90’s for as long as I’ve known him, and that much hasn’t changed. What has changed is his role. On the heels of th news that Angels may start looking toward converting relievers into starters to fill out next season’s rotation rather than spend in free agency, O’Grady started taking the hill as a starter in AA. This has been his first real experience in this role in professional baseball. But O’Grady has responded by firing 35 innings, allowing only four runs and four BB across six starts. For those keeping track at home, he’s hasn’t allowed more than one run to cross the plate in this last six appearances. I can’t guarantee he’ll be a top prospect or not, but what I can say is that O’Grady profiles similarly to Nate Smith, who is already well known to Angels prospect enthusiasts. Another former MWAH Top 30 prospect, Adams has spent his fair share of time on the shelf this year. The results haven’t always been there for Adams, but what has never been in question is the arsenal. Adams throws his fastball 93-96 and has one of the best sliders in the system. The fastball is heavy and comes in at a downhill plane which has made Adams exceedingly difficult to square up. The problem with Adams has always been control. But now that he’s healthy, Adams is beginning to flash more command than he has in the past. It’s very reasonable to expect to see Adams break into the Angels bullpen within the next year. He’s certainly an upgrade over the likes of Salas, Alvarez, Ramirez and Oberholtzer. 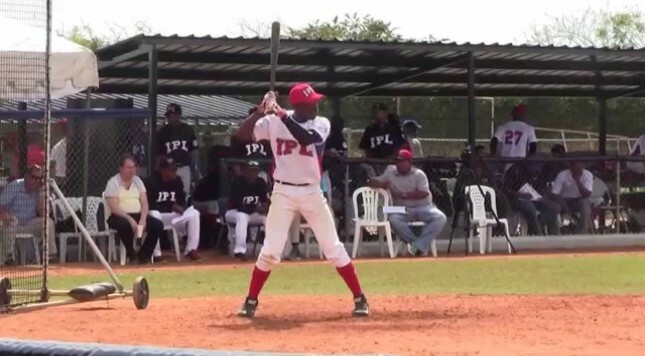 The Angels really don’t have much to offer coming out of the Dominican Republic. The team is solid, but as far projectable talent, there isn’t much at all. Except Sala. Johan was a higher profile signing three years ago as a 16 year old, and still at just 18 years off age, Sala is finally beginning to capitalize on some of that potential. Listed at 6’1 and 175, Sala is looking more like 6’2 or 6’3 and 180+ these days. This season, his final season before coming stateside, Sala has hit .321/.404 with 8 DB 2 triples a HR and 12 SB. This may not seem like much, but across 60 games in an extremely pitcher friendly environment, it’s a very solid line. More importantly, Sala has shored up his routes in CF, still possess an average-plus throwing arm and has cut down significantly on his swings and misses. Still a long way off, Sala could emerge in the next year or two as part of a crop of surprisingly good outfield prospects unearthed by the Angels (Jahmai Jones, Michael Hermosillo, etc…).